At Newport Harbor Animal Hospital, we understand that it can be frightening to receive the news that a dog surgery is being recommended. It is important to understand that it is a recommendation that our veterinarians do not take lightly. If one of our veterinarians is recommending a surgical procedure, rest assured that it is with the best interest of your dog in mind. It is important to us that you understand the reasons as to why a surgical procedure is being recommended and are able to comfortably make the right decisions regarding your dog's health. Most dogs are allowed to drink until the morning of the surgery when we will ask you to pick up the water bowl and not allow your dog to drink water the morning of the surgery. Be on time for your canine surgery, as most veterinarians schedule surgeries very tightly, and delays potentially threaten the wellbeing of the tardy dog, as well as the other dogs in line. We ask that your dog be at Newport Harbor Animal Hospital between 7:00 to 7:30 am. 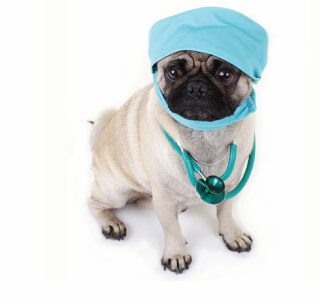 Listen carefully to post surgical instruction from your veterinary care team and call hospital if you have any questions regarding the post op care for your dog. At Newport Harbor Animal Hospital we will provide you with written post operative instructions highlighting all the important aspects of your dog's surgical recovery. At Newport Harbor Animal Hospital, we adhere to very stringent guidelines for administering dog anesthesia before, during and if necessary, after surgery. These guidelines come from the American Animal Hospital Association, a veterinary organization that only accredits approximately 12% of all veterinary practices nationwide. For example, the AAHA guidelines require that we first do blood work, and then depending upon your dog's overall health, other tests to ensure there is not an overt risk of complications from receiving dog anesthesia.